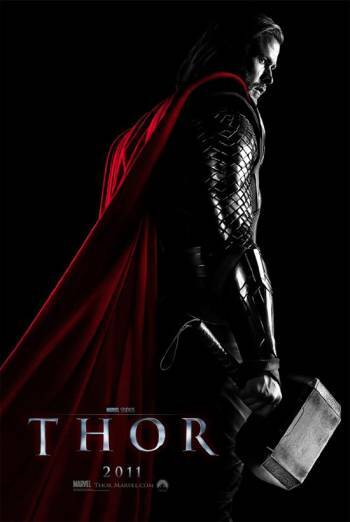 THOR is a fantasy action film about a superhero who is banished to Earth following the reignition of an acient war between Asgard, the Kingdom he is heir to, and the Frost Giants. There are several scenes of moderate fantasy violence, including kicks, punches, and a couple of headbutts, but there is never any discernible amount of blood or injury detail. A character is also stabbed in the chest with brief sight of blood visible on the end of the blade. There are moments of moderate threat when fantastical villians appear; whilst these scenes are not sustained, the characters are potentially scary and a bit intimidating. There are uses mild bad language such as 'dumbass', 'God' and 'hell'.